The ultimate work-life balance hack is getting your daily exercise fix while commuting. 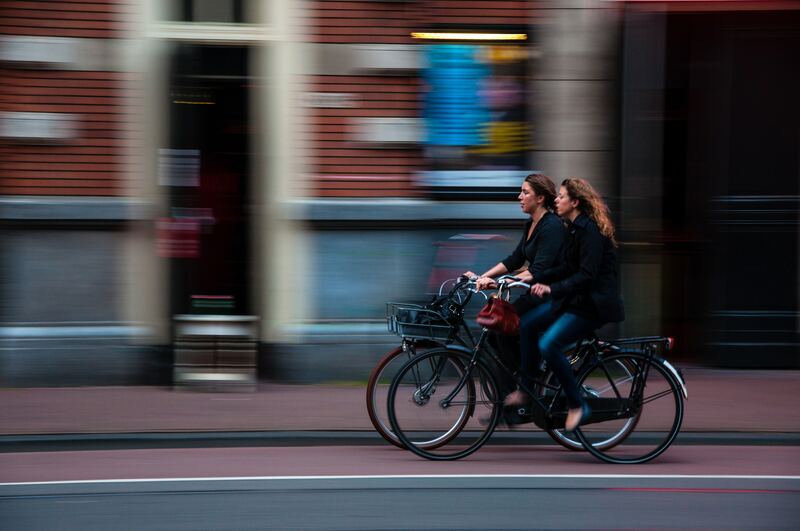 It is estimated that every hour cycled adds an hour to your life, while also saving you money, lightening the load on public transport, and reducing carbon emissions. And using your commute to get your daily exercise fix done and dusted is the ultimate work-life hack. I’ve been cycling to work on and off for well over a decade, and in that time I’ve learnt a thing or two, like always keep a change of clothes at the office, and never assume pedestrians will look before stepping into the road (they can’t hear you coming!). Choosing back streets over main roads and busy junctions makes for a more enjoyable, even leisurely, commute that will take you to places you’ve never explored before. All you need is a smartphone. Use an app like Strava to find routes preferred by cyclists, based on the app’s voluminous user data, or a route planning app like Komoot. Google also flags preferred cycle routes if you select the travel by bike option. Those who live in London can look at Quietways, Transport for London’s network of cycle routes that follow quieter streets, parks and waterways. For those put off cycling to work due to lack of fitness or confidence, steep hills, or because they live far away from their workplace, an electric bike, or e-bike, is a great option. This is just a bicycle that has an integrated electric motor to help to propel it forward, assisting the rider when pedalling and making inclines a breeze. There is an e-bike for everything, including folding models for commuters. Many employers don’t offer safe indoor spaces for bike parking, but that could be because no one has ever requested it. If your company needs some convincing, show them the Sustrans survey which found employees who cycle take half as many sick days as the average UK worker. Or how about Swedish research, which found that mental performance on tasks after physical exercise was better with fitter people than less fit people? Or there’s a British survey of almost 18,000 commuters that found significant associations in psychological wellbeing for those who actively commute compared to travelling by car. Some employers offer showers, drying facilities and lockers for kit, indoor bike parking, an ‘accessories store’ with spare lights, chargers and dry kit, as well as the cycle to work scheme. There’s no such thing as bad weather, only bad kit – and it’s all about layering. Don’t buy a waterproof top layer that isn’t breathable: it doesn’t rain as much, or as heavily, in the UK as you think. For base layers, choose natural fibres like merino wool that will regulate your temperature, draw wetness away from the skin, and don’t hold body odours as much as some fabrics do. There are technical polyesters that do much the same job. Another useful tip is to dress for the second mile, not the first. Two miles into any journey you’ll be much warmer. In winter, a cap that fits under your helmet (called a casquette) and that covers your ears is a must, as is a neckwarmer and gloves while sunglasses can be really useful for combatting glare and spray year round. Nine in ten problems can be fixed at the roadside with a multitool, provided you know what you’re doing. Learn some basic bicycle maintenance like how to change and pump a tyre, how to check for signs of wear, how to index your gears, and how to clean your bike. There are plenty of useful tutorial videos on YouTube and cycling websites. Get your trusty steed serviced and checked over by a professional at least twice a year; this is especially important as winter approaches. Steve Edgell wants more people to cycle to work, so he spends much of his day talking about the very many reasons why bikes are a marvellous way to travel - for our health, fitness and for the planet. That explains his job then. He is director of cycle to work scheme provider Cycle Solutions, based in Swansea, which helps employees get their commuter bicycles and kit tax-free.